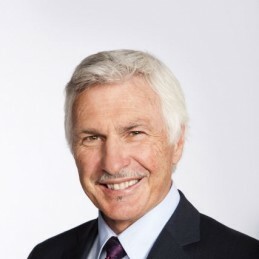 Mick Malthouse is a legend of Australia rules football. He is the current coach of the Carlton Football Club and in 2015 will become the league’s all-time leader in games coached. Malthouse will make any event or conferences a success as either a motivational speaker or facilitator of a leadership workshop. Born in Ballarat, Malhouse began playing football with Wendouree West then North Ballarat. In 1972 he was taken by St Kilda as a zone selection. He played three finals in his debut season but after 53 games with Saints coach Allan Jeans told him that there would be a lot of competition for a game in the 1976 season given the club’s abundance of similar sized players. Malthouse left for Richmond half way through 1976. Michael and wife Nanette married in 1974 and welcomed daughter Christi into the world in 1976 and Danielle two years later. Malthouse was a member of Richmond’s 1980 premiership win over Collingwood, one of 6 finals in his 121 games for the Tigers. A tough and dour defender with great leadership traits, Malthouse was the captain of the Richmond backline. Injury in 1983 forced his retirement. Immediately following his retirement he joined the Footscray Football Club, coaching from 1984 to 1989. He was known as dedicated, professional and tough on his players. During the period with the Bulldogs his sons Cain and Troy were born. In 1990 he was lured west and became the coach of West Coast Eagles Football Club. His highly successful ten years with the Eagles saw the club make finals every year and taste premiership success in 1992, the club’s inaugural flag, and again in 1994. Malthouse returned to Melbourne to coach Collingwood in 2000. Along with a 2010 premiership, he guided the club to grand finals in 2002, 2003 and 2011. Following the 2011 Grand Final, Malthouse moved to arch rival Carlton. Malthouse has coached 710 league games. 2015 will see him pass Jock McHale’s record 713 games.